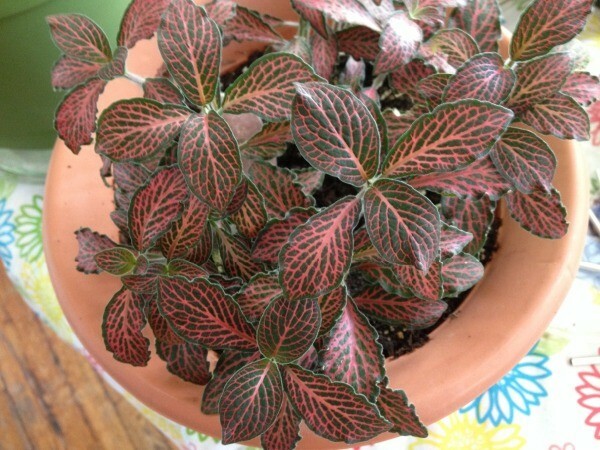 What is the name of this house plant? It looks like a variety of croton plant. It looks like one of the Peperomias. 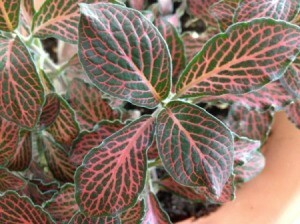 After researching this plant a bit more, I am certain it's a Fittonia. I am not certain about the variety, but it may be Verschaffeltii.